This 3300mm clear opening x 4000mm high Inova Industrial Specialist sliding gate 280 ESI Model fully automatic, was designed to provide a line of defence against outside intruders. Finished in grey (RAL 9006) to match the surrounding palisade perimeter fence (also by Inova Gates), this Inova sliding gate incorporates 10KV induced pulse wires with electro fence extensions which span from the ground level up to 1.6m above the sliding gate, and around the complete sub-station perimeter providing a highly secured area. The Inova cantilevered sliding gate came with all safety edges, key activated switches and remote controls. The lower beam of this Inova gate is 600mm above ground level (Special Design). 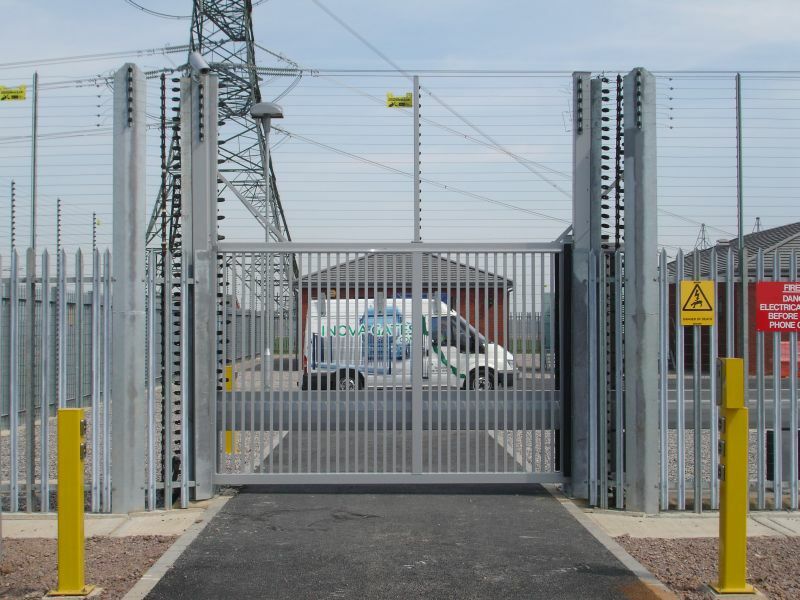 Inova sliding Gates worked closely with our client the National Grid to provide the design of this high secure system.